With its project, “Beating Back the Browsers”, the East Gippsland Landcare Network is the recipient of the inaugural $5,000 Sure Gro Tree Max Landcare Grant. 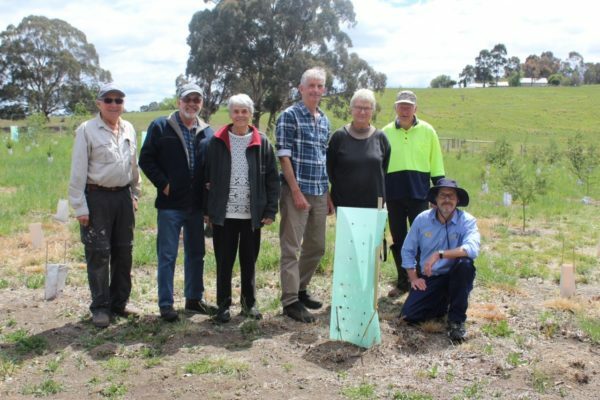 “The project’s goal is to increase the survival rates of newly planted native seedlings on Landcare revegetation sites, said Natalie Jenkins, Project Coordinator of the East Gippsland Landcare Network. For over 30 years, Sure Gro Tree Max Australia, a family-owned company providing quality products for land management, soil erosion control, revegetation, landscaping, civil, agriculture and nursery industries, has worked closely with Landcare, Coastcare and Bushcare groups throughout Australia. To formally recognise the loyalty these groups have shown their business and the importance of the work they do, in 2018, Sure Gro Tree Max partnered with Landcare Australia to inaugurate the Sure Gro Tree Max Landcare Grant Program. “It’s our way of giving back to the thousands of communities and volunteers that carry out important environmental projects across Australia,” said Sure Gro Tree Max’s Josh Isman.